Home theaters are meticulously designed and built for one primary purpose - watching movies. This is because a true home theater is modeled after the enviorment where movies are actually made - the movie mixing stage. Fortunately, the mixing stages that nearly all movies are made on are virtually identical. Everything from speaker type, layout, frequency response (of both speakers and room), viewing position, seating, screen size, lighting, and background noise level are all tightly controlled. When these items are carefully designed and recreated in your home, the result is magical. Media rooms are carefully designed and built to provide exceptional multi-media performance in multi-purpose rooms, as opposed to being completely optimized for movie watching as home theaters are. These rooms often serve purposes well beyond multi-media. They could be a den, living room, etc. As such, media rooms are much more common than true home theaters. Multi-room audio is the distribution of audio to other areas of your home. This means that you can personalize every space, indoors or out, with terrific sound. It enables everyone in the family to listen to whatever they wish, whenever they want to and wherever they desire to listen. Unlike ordinary sound systems that are limited to playing one sound source at a time, the new world of multizone electronics makes it possible to listen to background music in the home office while the news is on in the master bath and the kids play music from their digital collections in their rooms, all at the same time. So everyone gets the exact music or program material they want without hassle and without bothering anyone else. Multiroom audio, made possible by this new breed of electronics, delivers unique and personal sound for everyone in the family or for every entertaining occasion. Noise is basically unwanted sound. A great home theater is really cool, but you won't think so if you can hear it from the master bedroom when you're trying to go to sleep. Fortunately, noise control techniques can be engineered into walls, floors, ceilings, and HVAC ductwork to minimize these issues. Advanced Home Systems will determine the proper level of noise control for your application, desires, and budget. Video display calibration is the process of adjusting the display settings for optimum performance. This provides many advantages, including improved detail in the brightest and darkest parts of the scene, accurate color balance at all picture light levels, a sharper image, and increased display life. The reason that this is necessary is because manufacturers are forced to improperly calibrate displays in order to provide the brightest (not best) picture, since most buyers in a showroom are drawn to the brightest (again, not best) displays. Proper display calibration involves adjusting the basic user controls (black level, white level, saturation, hue, and sharpness) as well as technician controls (white balance, focus, SVM, color decoder, and geometry). This is accomplished by using a video generator (which provides reference-level test patterns) and color analyzer (connected to a laptop computer). Fortunately, the science of calibrating video displays is exactly that (a science) and is not subjective to personal preferences. Following calibration, your display will be properly set to industry standards and will produce the most accurate image, with the truest colors, with film-like picture qualities, and often with a much longer life. This provides you a more life-like, engaging entertainment experience that you will be excited to share with your family and friends. 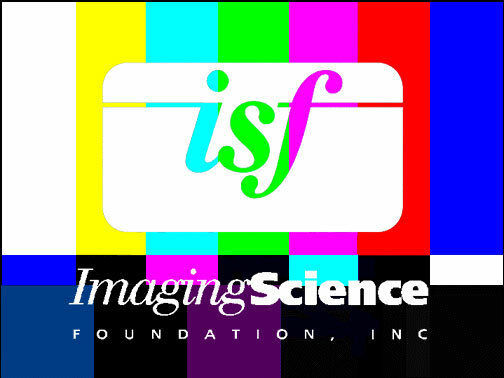 Advanced Home Systems is fully trained and certified by ISF (Imaging Science Foundation) to perform these calibrations, thereby permitting you to obtain the optimum performance from your video display. The other end of the spectrum contains the items above, plus much more. While primarily intended for dedicated home theaters to produce the best possible sound, it is possible to perform these calibrations in any room. This level of calibration requires a combination of advanced test equipment (to accurately measure and display exactly what's happening with the audio in the room), equalization electronics (to alter the electrical audio signals to compensate for uneven frequency response in the room), and very often the use of sound/noise control products (absorptive panels, etc.). When all of these measures are implemented, dramatic improvements in the audio system's performance will be realized, providing improved dialogue intelligibility, more lifelike clarity, subtle details at low volume levels, and full smooth sound which envelopes you. If your sound system is professionally calibrated, you will be overwhelmed with the experience of being there. Audio calibration is the only way to capture the full potential of your audio system.